Hour 1: Dr. John Young, M.D. Joining Amerika Now during the first hour is long-time emergency room physician Dr. John Young, who will be discussing what you can do to protect yourself and your children from enterovirus D68. I’ll also be asking him about Ebola now that we have the first diagnosed case in the U.S.
It’s all over the headlines: Enterovirus D68 (EV-D68) is making children ill in what appears to be unprecedented numbers. It may even be linked to a series of polio-like symptoms appearing in a number of states. So what can you do to protect yourself and your children from enterovirus D68? Dr. John Young, M.D., a long-time emergency room physician now specializing in the treatment of chronic and genetic diseases, notes that the children becoming infected have underlying lung or neurological diseases. Dr. Young will address some of the signs that indicate your child has a weakened immune system, simple ways to help children build up a strong immune system, and address questions about viruses and how to protect against them. In addition, with the first case of Ebola being diagnosed here in the U.S., I will ask some questions about this disease as well. Dr. John Young has a Bachelor’s in Political Science, Master’s in Public Administration, and is an MD with a residency in Family Practice. He has been an ER physician for more than 15 years, and also has a private practice that specializes in the treatment of chronic and genetic diseases. Dr. Young speaks extensively on the use of basic physiology and biochemistry to treat chronic diseases. He has been a consultant for various provincial administrations and private corporations in the Republic of South Africa on the treatment and prevention of sexually transmitted diseases. He did some of the first studies on the use of a polymer membrane and its use in the treatment of second and third degree burns. He also did the early studies for a major U.S. university on the use of cold lasers in the treatment of chronic wounds. He holds three U.S. patents: one for the healing of dermal lesions; one for a way to destroy fungi; and one for a way to destroy bacteria in a unique. His ongoing research has led to many innovative products being used around the world. 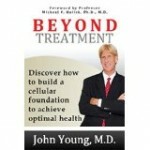 Dr. Young is also the author of Beyond Treatment: Discover How to Build a Cellular Foundation to Achieve Optimal Health. For more information, visit http://www.younghealth.com. CALL 800-259-5791 TO SPEAK WITH Dr. YOUNG. One of the country’s top financial advisors, Donna Skeels Cygan, joins the show during the second hour to discuss her book, The Joy of Financial Security: The Art and Science of Becoming Happier, Managing Your Money Wisely, and Creating a Secure Financial Future. The American Dream has evolved past the humble “white picket fence.” Way past. We all strive for the “nice” home (as defined by HGTV and Pinterest) as opposed to the cozy one, keep a perpetual car payment instead of driving an older model, and chauffeur kids to an endless array of pricey activities rather than sending them outside. Call it creeping consumerism, entitlement, or plain old peer pressure. The point is, we see our hectic and expensive lifestyles as normal–and it’s time we realized that keeping up with the proverbial Joneses is actually extravagant and irresponsible. Tonight, Cygan will share her combined financial expertise with research from psychology, neuroscience, and economics to shine a light on the complex relationship between money and happiness. She’ll talk about nine financial and psychological benefits of cutting ties with the Joneses. In addition, she’ll touch on ten things you think you need that you really don’t, such as a big, fancy house or a new car. Donna Skeels Cygan, CFP, MBA, is the owner of the financial advisory firm Sage Future Financial, LLC. She has been recognized numerous times s one of the top financial advisors in the U.S., and seeks to help her clients take control of their money in a way that maximizes their happiness. Cygan has contributed to articles and has been quoted in national newspapers and magazines, including the Wall Street Journal, New York Times, Chicago Tribune, Forbes, Kiplinger’s, and Investment News. She has appeared on TV programs in New York, Seattle, Portland, Phoenix, Minneapolis, and Memphis, as well as on many radio shows across the U.S. She also enjoys speaking on many topics related to money and happiness. CALL 800-259-5791 TO SPEAK WITH DONNA SKEELS CYGAN. Joining the show during the final hour is Certified Life Coach, Licensed Mental Health Counselor, and Motivational Speaker Dr. Jaime Kulaga. Jaime will be discussing her book, Type “S”uperwoman: Finding the LIFE in Work-Life Balance: A Self-Searching Book for Women. 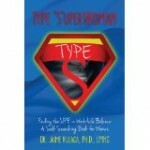 Jamie joins me tonight to help us all learn the importance of “No.” She’s written an empowering book entitled Type “S”uperwoman: Finding the LIFE in Work-Life Balance: A Self-Searching Book for Women, in which she will help you learn how to become a Super Woman (two words), not to be mistaken for SuperWoman (one word)! So grab your capes future Super Women, we’re about to embark on a journey toward fulfillment and balance! Dr. Jamie Kalaga is a Certified Life Coach, Licensed Mental Health Counselor, and Motivational Speaker. Her passion is to help people live their best lives, and she serves as a coach for individuals, couples, and businesses. In addition, she serves as a go-to expert resource for Bay News 9 in Tampa Bay. For more information, visit her website at http:mindfulrehab.com.